What is the nature of your comment or inquiry? * Select -------------------------- Water Music Festival Society Water Music Festival Event Jazz & Oysters Garden Tour Christmas Concert Rhodie Tour Sponsoring Volunteering Ticketing I don't know! Water Music Society has been providing entertainment of the highest quality and variety since 1984. 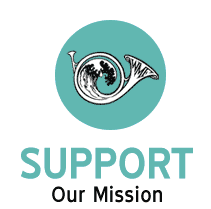 In 2013, WMS added, as part of its focus, becoming a fund-raising agent to support music in the schools. A portion of proceeds from WMS events are given to the local schools to enrich the musical environment for young people and further their opportunities for educational workshops and conferences. MUSIC IN THE GARDENS, in July, has been gracing the peninsula since 2005. Ever expanding, the tour includes fabulous gardens, live music and food. JAZZ & OYSTERS – created one year after the October Water Music Festival. Traditionally held in August, J&O is an outdoor event featuring superb jazz artists from around the Northwest as well as delectable foods and beverages. In 2010 we moved from our original venue at the historic Oysterville Schoolhouse to Wilson Field in Ocean Park where there’s more space for parking and definitely more space for dancing! The 2017 event was held at Long Beach, Veteran’s Field. This year, the 2018 event will be held at Port of Peninsula, with plenty of parking, as well as a superb view of Willapa Bay and the oyster industry. WATER MUSIC FESTIVAL draws audiences from far and wide to the Peninsula for two days of memorable concerts. It has always been the goal of Water Music Festival to feature a variety of artistic genres during any concert weekend and to encourage artists to present a varied program. The Festival particularly welcomes those artists who relate well with the audience. In 2009, WMF began a program of including talented young people from the community in one or more of the October concerts. This program was enthusiastically received and will be continued. Also, as part of the organization’s mission to promote educational outreach, one or more artists appearing in the October Festival conducts a workshop at the high school which includes elementary, middle and high school students. CHRISTMAS CONCERT has been a favorite way to start the season since in 2001. 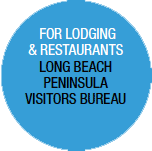 It has always been offered to serve our winter residents and the many families that come to the peninsula during the holidays.